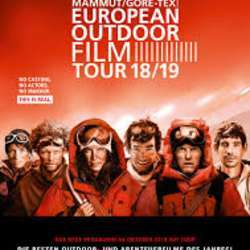 The most renowned film event on the European outdoor calendar: The European Outdoor Film Tour is heading to more than Protected content in 15 countries showing inspiring protagonists with a heartfelt passion for adventure and the great outdoors. So if you are down with me to look at upcoming outdoor trends and also view the intense experiences these athletes have endured, please join! I would advise you to buy your ticket asap before the event, as some others are already sold out and this is the only Wiesbaden show.